Obituary for James Holbert | Thomas J. Shea Funeral Home, Inc.
James Lee Holbert, 64, of Windsor, New York, passed away suddenly on February 5th, 2019. James will be forever remembered by his son Jason Holbert; daughters Kristin Holbert (Michael Kolanda) and Keri Lee Falcon (Jason Falcon); and mother of his children and good friend, Maureen Holbert-Walsh. James also leaves behind his 8 grandchildren, Jordyn Roser, Juliana Jones, Michael Bickham, Ashton, Arielle, and Colton Stone, and Dieter and Callan Falcon. James was an extremely hardworking man who had his own sheetrock company. He was always there for his family when they needed him. 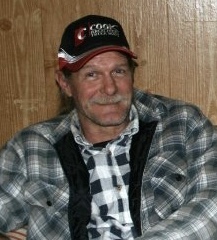 James had a deep love for gardening and enjoyed NASCAR and watching classic movies. Our love for him will live on in our memories forever. There will be an informal gathering with the family to pay respects at the home of Kristin Holbert, 912 Colesville Rd, Binghamton, New York, 13904, on Sunday, February 10th, 2019, from 2-5pm.